Qatar Airways is flying high after claiming more global awards than ever during 2017, its 20th year of operations. Qatar’s national carrier has received more than 50 individual awards across multiple categories since January, suggesting its commitment to exceeding passenger expectations via an innovative approach to product development and dedication to customer experience are paying off. At a time when many airlines are scaling back and during a particularly challenging year, Qatar Airways has thrived, showcasing its best-in-class cabins, crew, catering, in-flight entertainment, on-board magazine, lounges and more. The airline’s group chief executive, His Excellency Akbar Al Baker, was named ‘Aviation Executive of the Year’ by industry body CAPA last month, highlighting his leadership and innovative direction in guiding the growth of the airline and the wider aviation industry as a whole. 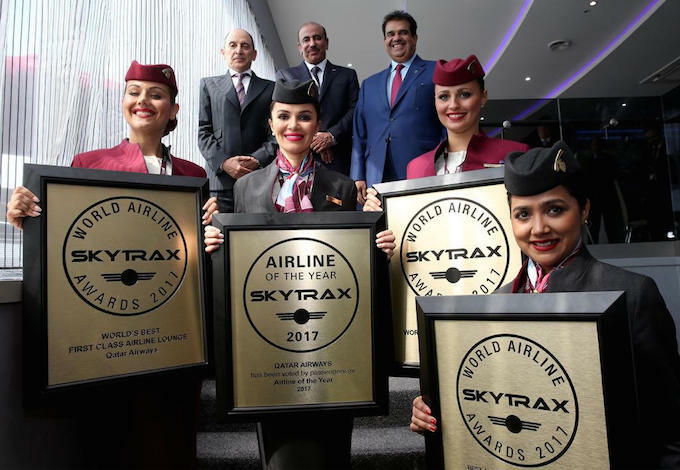 Leading the host of awards received by the airline this year is the prestigious accolade of 2017 ‘Airline of the Year,’ awarded by international air transport rating organisation Skytrax. 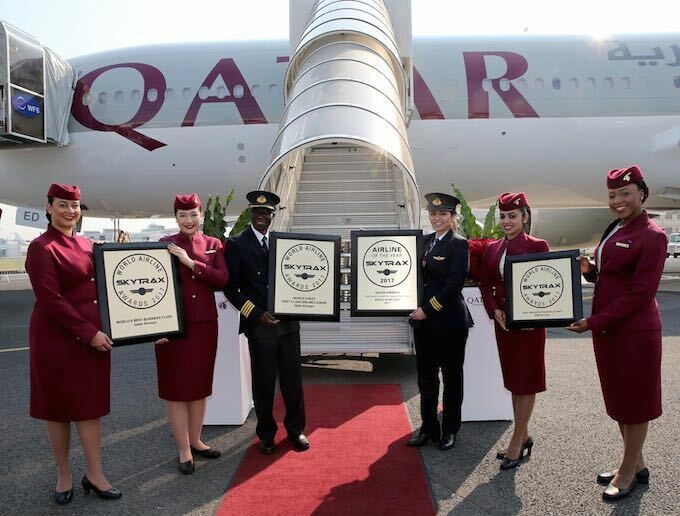 Known as ‘the Oscars of the aviation industry’, Qatar Airways was also named ‘World’s Best Business Class’, ‘Best Airline in the Middle East’, and ‘World’s Best First Class Airline Lounge’ at the Skytrax awards ceremony held in Paris in June. Akbar Al Baker said: “The many awards Qatar Airways has received this year stand as firm recognition of our ongoing commitment to our passengers to constantly innovate in order to deliver the finest experience available, both in the skies and on the ground. Significantly, Qatar Airways was also recognised for its launch of Qsuite, the airline’s revolutionary new ‘First in Business Class’ product, receiving the ‘Best Airline Innovation of the Year’ award at the 2017 ULTRAS (Ultimate Luxury Travel Related Awards) in London. It was also awarded ‘Best Cabin Service’ and ‘Best Food and Beverage’ at the 2017 APEX Passenger Choice awards held during this year’s annual APEX Expo in Las Vegas. The airline also received the evening’s highest ranking as a five-star airline from more than half a million passengers who took part. Qatar Airways also took home four prizes at this year’s TravelPlus Airline Amenity Bag Awards, and its in-flight magazine, Oryx, won the ‘Custom Redesign of the Year’ award at Folio magazine’s Eddie & Ozzie awards.